What is Hydrolyzed Collagen Peptides? 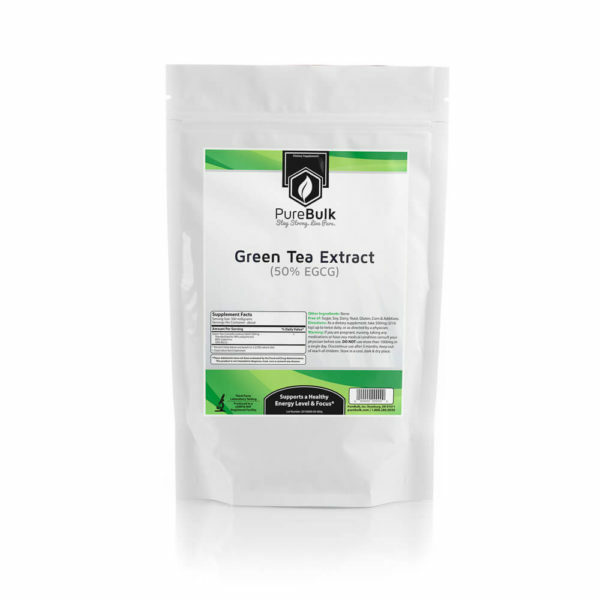 This collagen is sourced from bovine and is type I and III collagen peptides. 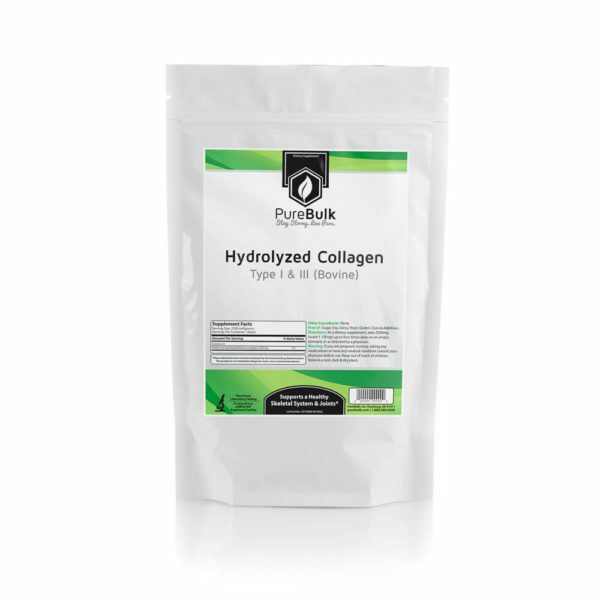 When hydrolyzed, collagen can be absorbed as a supplement. Collage type I and type III proteins play a vital role in promoting skin, nail, and hair health. 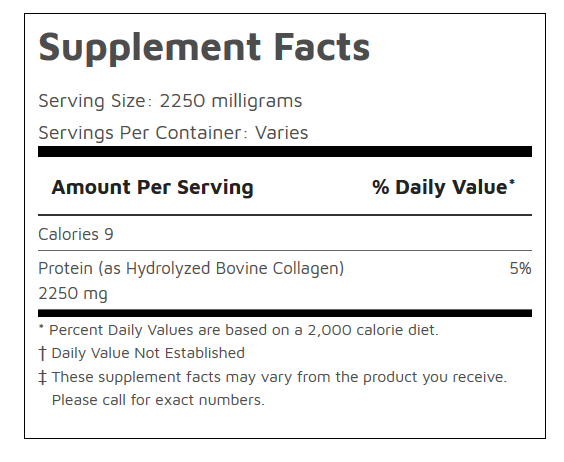 Take 2.25 grams of hydrolyzed collagen once daily or as needed.